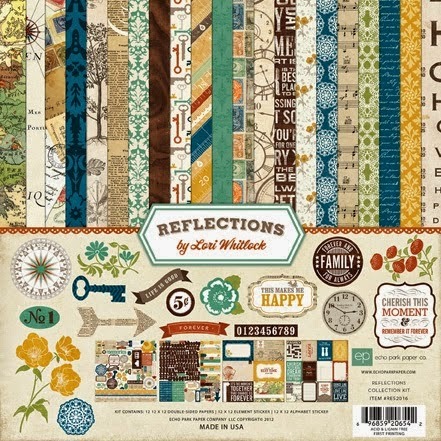 It's time to showcase another kit from The Memory Nest -- for May it is the Reflections kit by Lori Whitlock and Echo Park. There were many stickers and chipboard left over --definitely enough for many layouts and/or cards! I would definitely recommend purchasing coordinating solid color cardstock, and your kit will go even further! 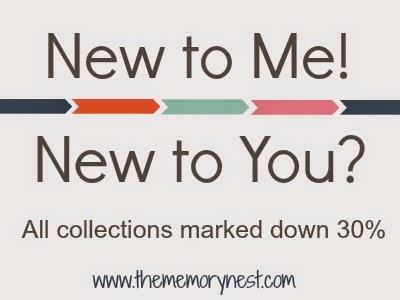 This kit is 30% off right now at The Memory Nest! Coming soon is another layout with this kit, in addition to some ideas for making masculine cards!